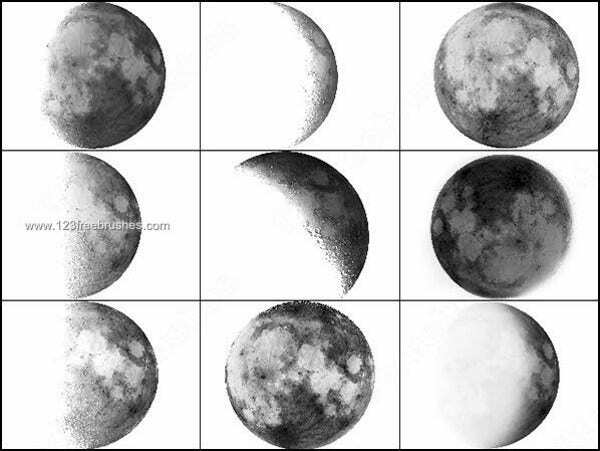 The moon is one of the largest natural satellites in the solar system being the fifth on the rank in the stated category. It orbits the planet Earth and acts as people’s source of light outside during nighttime. 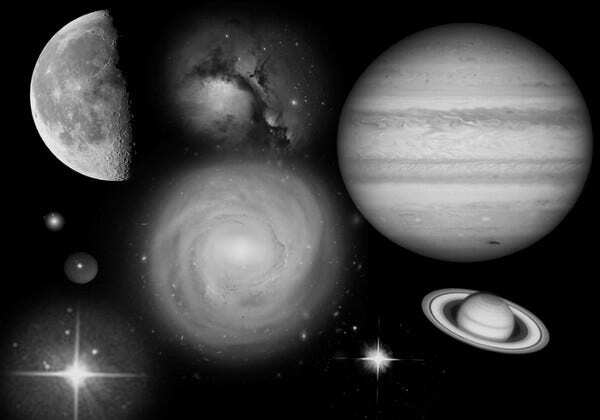 It is an astronomical body that can be seen from the Earth’s surface with various phases. 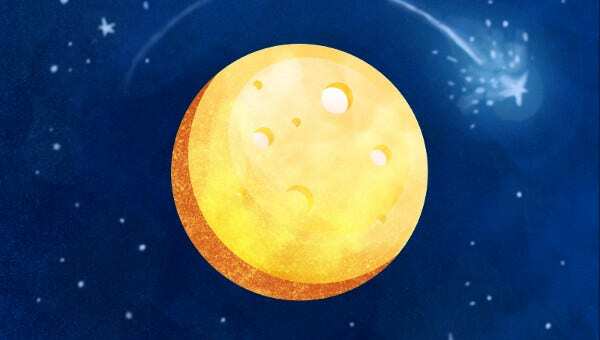 It is far away from our planet that people use specialized telescopes and advanced cameras to see more details of the moon from where they are standing. It is truly a cool sight to behold and an amazing photo to capture as we only see the moon on far measures on a daily basis. 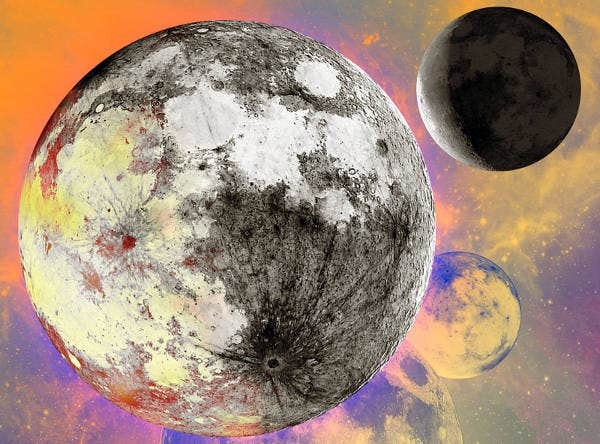 Our Photoshop brushes can make the moon be closer and look realistic on photos as our available brushes have different moon designs that you may use and select from for your projects. If you have photographed a skyline and you want it to look more alive, our moon brushes can actually make a difference. You can place the moon on a specific area where you can also edit the brightness of items and structures nearby so as to give the illusion that the light from the moon hits the surface and is being reflected. 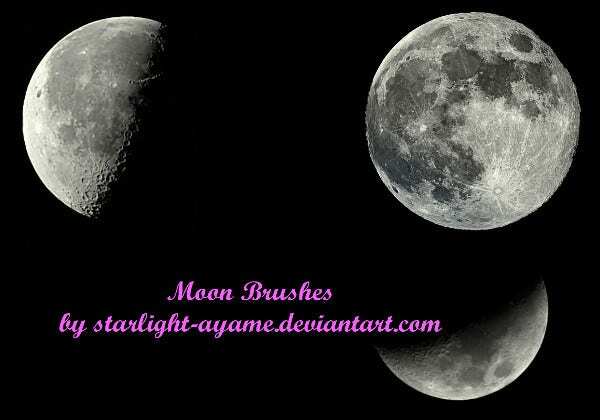 You can also use our moon brushes on nature photography. A wide vast sky may seem to pain especially if there is no moon in it at night. You can add our moon to the photo and make the entire photograph look surreal. If there are no stars twinkling too, you can use our star brushes and add them on the photograph to make it look better and dreamy. 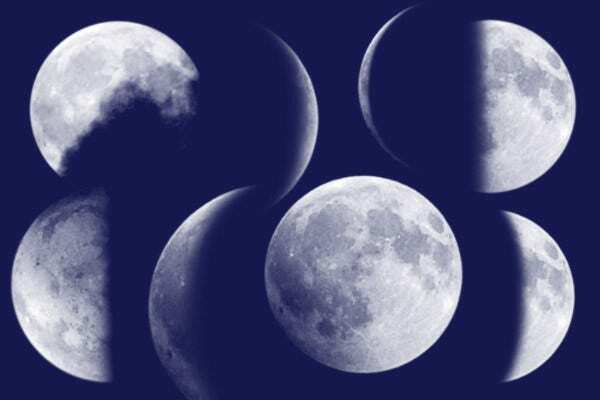 For special purposes and events, you can actually use our moon as a backdrop for portraiture. 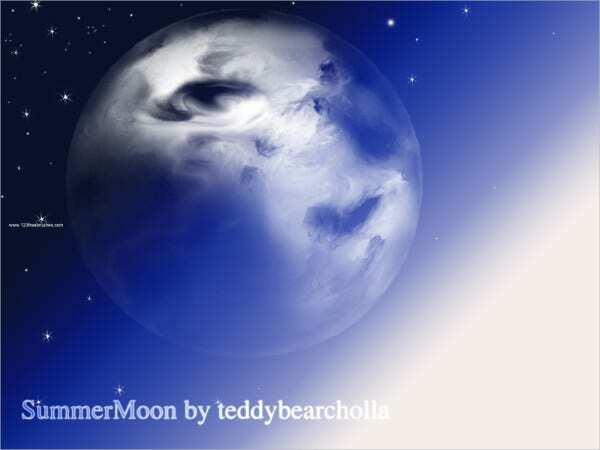 You can make it look that the moon is that near to the object depending on the photo symmetry that you are to follow. 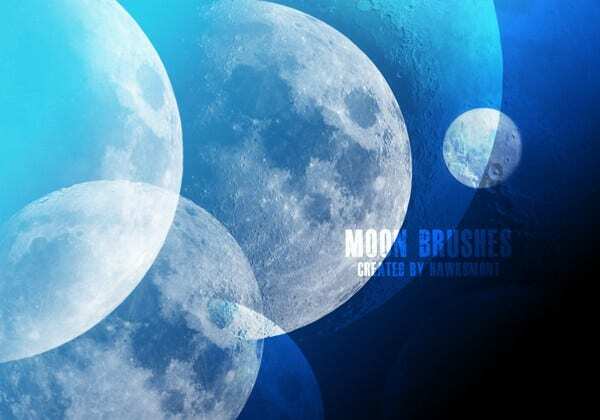 Our moon brushes can also be used as a document background for creative projects that you need. You can put it below the texts and make the message pop more. 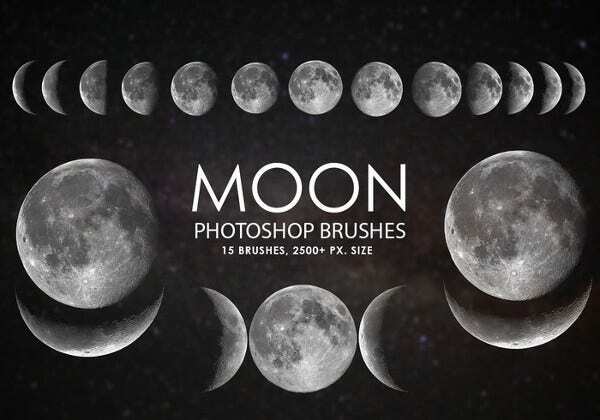 There are a lot of things that you can do with our moon brushes. 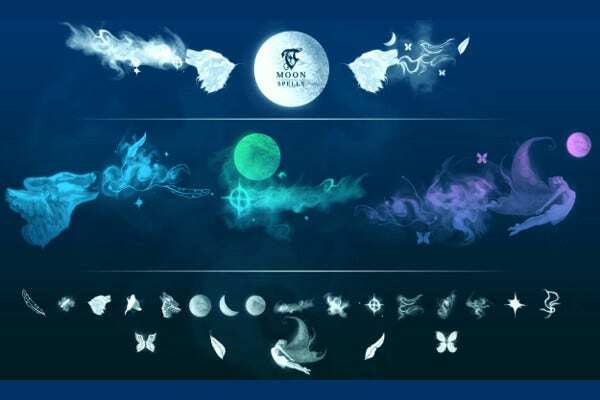 Especially that they contain all the phases of the moon, you can experiment every time and see which phase is better used in specific purposes. There is truly something magical about the moon. Maybe it’s because of the curiosity that we have about it and how it can actually supply just the ample amount of light for people to somehow see the surroundings but not as bright that it can be compared to daylight. 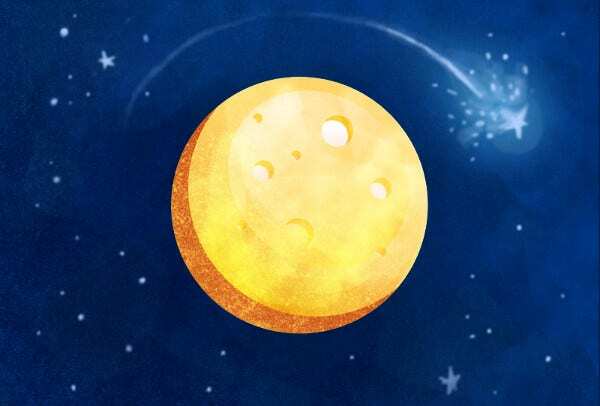 There are a lot of studies being done about the moon, and even a number of astronauts have been there already. You can make the viewer of your photograph feel that way by using our moon brushes and applying it on your photos to produce great results. Should you want extra effects and a different source of light to your photograph, you may use our sparkle brushes that are also available for download.